Posted in Memorial Day, Ronald Reagan	by S.E.M.G. Posted in Ronald Reagan, Veterans Day	by S.E.M.G. 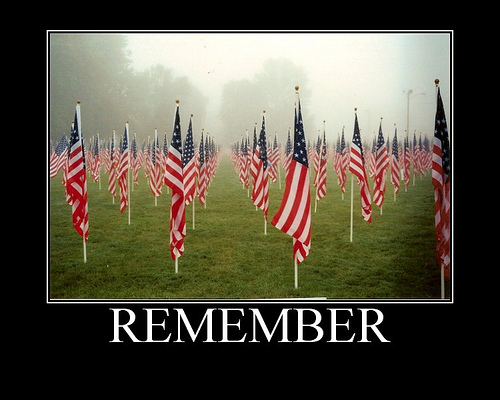 PRESIDENT REAGAN: Those who live today remember those who do not. 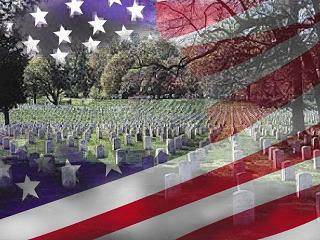 Those who know freedom remember today those who gave up life for freedom. PRESIDENT BUSH: Thank you all very much. Thank you for the warm welcome. Thank you, Secretary Principi, for doing a really fine job to represent our nation’s veterans. Members of the Cabinet, members of the Congress, members of our military, veterans, Commander Berger, representatives of veterans organizations, and fellow Americans: Laura and I are proud to join all of you and citizens across our country as we honor the service of America ‘s veterans. We observe Veterans Day on an anniversary — not of a great battle or of the beginning of a war, but of a day when war ended and our nation was again at peace. Ever since the Armistice of November the 11th,1918 , this has been a day to remember our debt to all who have worn the uniform of the United States. Our veterans have borne the costs of America ‘s wars and have stood watch over America ‘s peace. And, today, every veteran can be certain: The nation you served and the people you defended are grateful. Our nation knows this National Cemetery as the final resting place of those lost to the violence of war. Yet, most of the markers here stand over the graves of Americans who lived beyond their years of military service. On the hills of Arlington and in the daily lives of our country, veterans have a special place. We honor them all for their service in uniform. 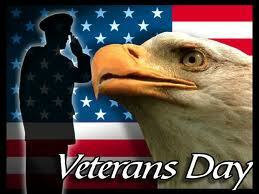 And we honor America ‘s veterans for the full lives of their service they continue to lead. Today, more than 25 million Americans wear the proud title of veteran, or retired military. Their ranks include young men and women who gave good years to our all-volunteer military and recently returned to civilian life. Our veterans include more than 11 million men and women from the conflicts of Korea and Vietnam , who earned this nation’s gratitude and respect. More than 4 million living Americans served in World War II, under the command of Eisenhower and Bradley and Nimitz. And on Veterans Day 2003, it is still possible to thank, in person, almost 200 Americans who were in uniform when the guns of World War I went silent 85 years from today. All the men who served when Woodrow Wilson was the Commander-in-Chief are now more than 100 years old, and they can know that America is still proud of them. Americans are a peaceful people, and this nation has always gone to war reluctantly, and always for a noble cause. America ‘s war veterans have fought for the security of this nation, for the safety of our friends, and for the peace of the world. They humbled tyrants and defended the innocent, and liberated the oppressed. And across the Earth, you will find entire nations that once lived in fear, where men and women still tell of the day when Americans came and set them free. America ‘s mission in the world continues, and we count on the same kind of people to carry it out. Today, in assignments around the world, more than 1.4 million Americans are on active duty, earning the title of veteran by serving in the cause of freedom. In two years and two months since our country was attacked, the men and women of our Armed Forces have engaged the terrorist enemy on many fronts. They’ve confronted grave dangers to defend the safety of the American people. They have liberated two nations — Afghanistan and Iraq — delivering more than 50 million people from the hands of dictators. Those who serve and fight today are adding great achievements of their own to America ‘s history. America is grateful for their daring, grateful for their honor, and grateful for their sacrifice. On this Veterans Day, with our nation at war, Americans are deeply aware of the current military struggle and of recent sacrifice. Young Americans have died in liberating Iraq and Afghanistan. They’ve died in securing freedom in those countries. The loss is terrible. It is borne especially by the families left behind. But in their hurt and in their loneliness, I want these families to know your loved one served in a good and just cause. They died in distant lands to fight terror, to advance freedom and to protect America. They did not live to be called veterans, but this nation will never forget their lives of service and all they did for us. Today and every day, the prayers of the American people are with those who wear our country’s uniform. They serve a great cause and they follow a great tradition, handed down to them by America ‘s veterans. Our veterans from every era are the finest of citizens. We owe them the life we know today. They command the respect of the American people, and they have our lasting gratitude. Thank you for coming today. 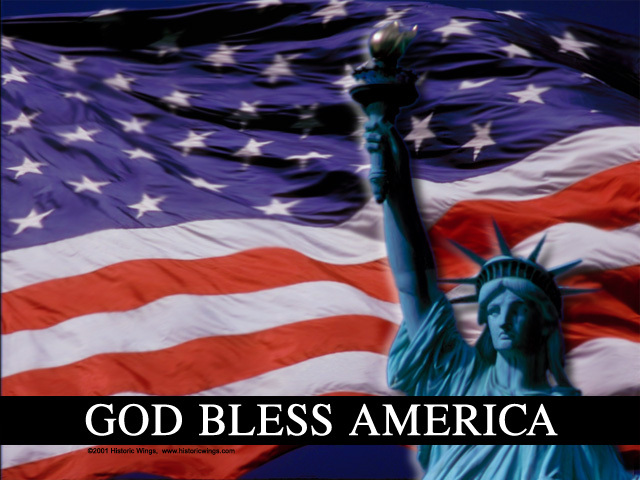 May God bless America , and may God bless all who defend it. Posted in America, Declaration of independence, Fourth of July, GOD, Ronald Reagan	by S.E.M.G.